Islamabad: Pakistan on Thursday accused India of committing 542 ceasefire violations so far in 2017 resulting in the death of 18 people and said the “belligerent attitude” of its neighbour is a threat to regional peace and security. At his weekly press briefing here, he claimed that Indian forces have committed 542 ceasefire violations in 2017 so far resulting in the death of 18 people. “The Indian belligerent attitude is a threat to regional peace and security, and international community including the UNSG has expressed concern,” he said. “Pakistan has consistently maintained that the Jammu & Kashmir dispute can be resolved only through realisation of the right of self-determination through a fair, free and transparent plebiscite under the auspices of the UN in accordance with the UNSC resolutions,” he added. 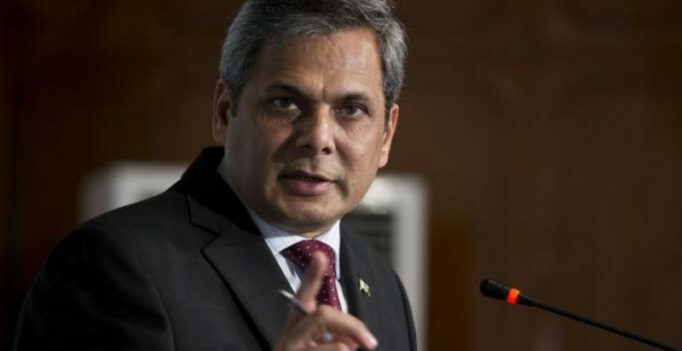 Pakistan believes in resolving all issues through dialogue, he said, pointing out that the UN chief, the US President, the Chinese leadership and others have offered to play a role in resolving the Kashmir issue. Responding to a question, he said it was reprehensible that there has been no progress on the Samjhauta Express terrorist attack case in which 42 Pakistanis lost their lives despite the passage of 10 years and repeated requests from Pakistan.